I have returned from Vancouver with my new prosthetic eye. As much as the enucleation was painful the replacement of my eye with the prosthetic has raised my spirits again. It is impossible to describe the joy I have of looking into a mirror and seeing a perfectly matched pair of eyes after so many years and so much disfigurement. 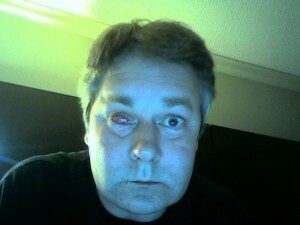 Look carefully, if this is your first visit to my blog can you even tell which eye was removed? My ocularist and her staff have created the impossible and I don’t think I’ll ever be able to fully repay the team that has cared for me for so long and to such a conclusion. Well, it’s not really over. 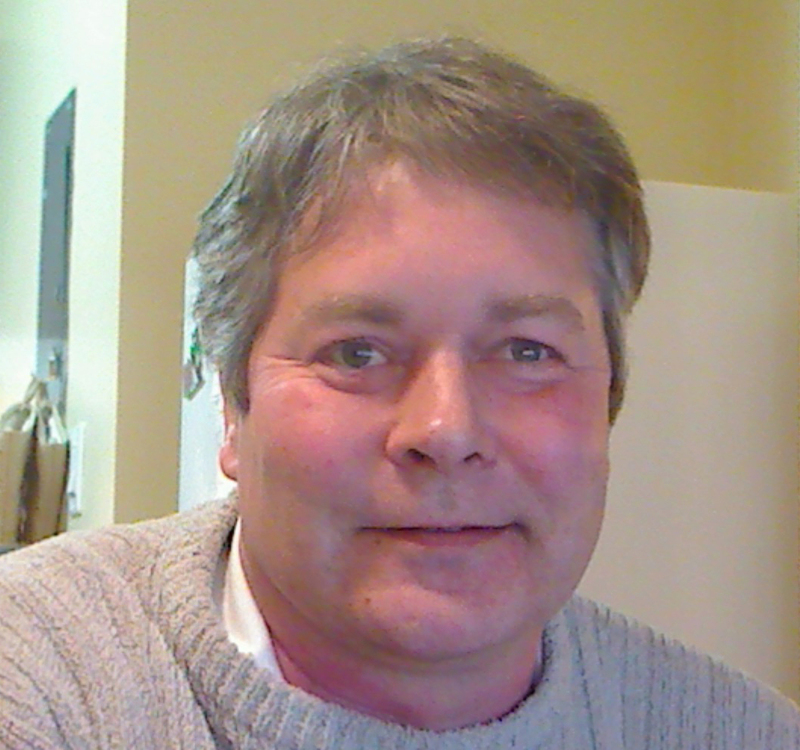 I am still a cancer survivor with a high likelyhood of metastasis. But I feel great now and I will live the life that has been denied to me for so long. I am no longer the “half-zombie”, scaring youngsters in the aisles of the grocery stores and watching people as they see my face and look away or try to not seem affected by the incomplete prosthetic that almost feels like I was wearing it forever instead of the 5 months that it was. After a miserable series of occurances (detailed in previous posts) am have finally healed well enough to travel since my enucleation and following appendectomy surgeries in August 2011. 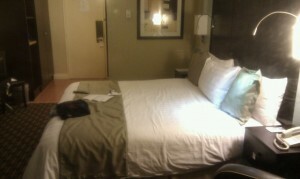 Tonight is my first night at the Park Inn. I’ll have a nice sleep then wake early and have breakfast, eggs, bacon and toast with a liberal number of coffees. Then it’s off to my first of 5 appointment over the next two days to have my eye fitted with my new life-like prosthetic. When this series of appointments is over I will post pictures of my new left eye. I’m sure the people at work will be happy to see the “zombie” finally put to rest. I am home. Comforting words if ever there were. There has only been a few times in my life, and I’m sure you’ve experienced this too, that walking in the door helps to settle your nerves and put the previous events behind you. I find it very hard to write about my enucleation, I am still in some pain. It is too fresh. But I am well, otherwise, and look forward to sharing more of my journey in a couple of days time when my strength returns more. 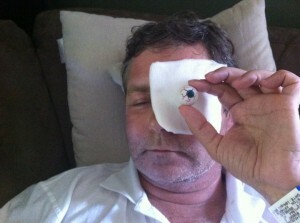 The fake eye I am holding in the photo is a gift from a friend. Thanks Kat, you made me smile at a most dificult time.